The ex-Bus Driver, after consultations with the men in his cabinet and friendly talks with Fidel, has decided to sacrifice himself to the good of the country. From this point forward, all women (and some cute T-Girls) will be required to copulate with El Hefe, La Salchicha Grande, El Cabeza de Guevo, Nicolás “Huevón” Maduro. Venezuela to Develop Sole Government Server to Keep Google, Social Media Out. Think well of an American Veteran. The 1-foot long by 8-inch tall (30 by 20 cm) engine was built at GE Aviation’s Additive Development Center outside Cincinnati as a side project. The result of several years’ work, the purpose was to test the printing technology. 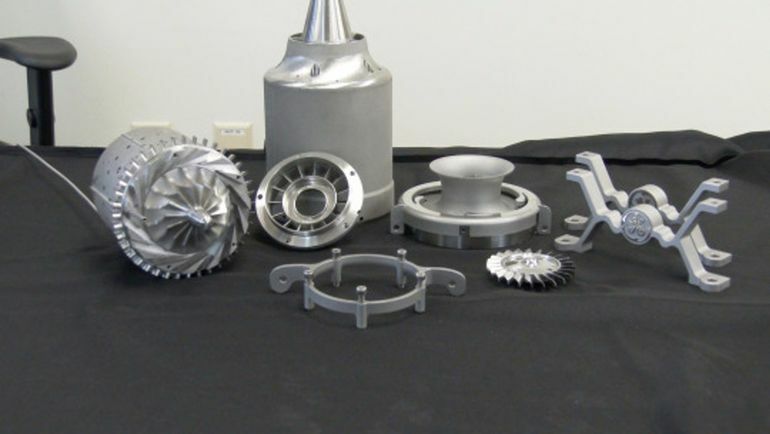 It’s not the first 3D-printed jet engine, but it has been fired and revved up to 33,000 RPM. Engineers at the University of Sheffield’s Advanced Manufacturing Research Center (AMRC), however, have taken things a step farther. They’ve made a 3D-printed UAV airframe that’s designed to minimize the amount of material needed in its construction, and that can be printed and in the air within a single day. Insanity by the Press (CNN could do hours each week on the horrors of home-made, jet powered, cruise missiles) and faster a knee-jerk from Politicians than a cash donation in a plain envelope. An international team of scientists has announced the discovery of a new state of matter in a material that appears to be an insulator, superconductor, metal and magnet all rolled into one, saying that it could lead to the development of more effective high-temperature superconductors. Why is this so exciting? Well, if these properties are confirmed, this new state of matter will allow scientists to better understand why some materials have the potential to achieve superconductivity at a relativity high critical temperature (Tc) – “high” as in −135 °C as opposed to −243.2 °C. Because superconductivity allows a material to conduct electricity without resistance, which means no heat, sound, or any other form of energy release, achieving this would revolutionise how we use and produce energy, but it’s only feasible if we can achieve it at so-called high temperatures. As Michael Byrne explains at Motherboard, when we talk about states of matter, it’s not just solids, liquids, gases, and maybe plasmas that we have to think about. We also have to consider the more obscure states that don’t occur in nature, but are rather created in the lab – Bose–Einstein condensate, degenerate matter, supersolids and superfluids, and quark-gluon plasma, for example. via Scientists have discovered a new state of matter, called ‘Jahn-Teller metals’ – ScienceAlert. The Extreme Accuracy Tasked Ordnance (EXACTO) program, run by the Defense Advanced Research Projects Agency, is looking to increase the accuracy of difficult, long-distance shots with bullets that can change direction in flight and seek out their targets. Last year, DARPA and developer Teledyne Scientific & Imaging demonstrated the ability to hit a target that was offset from where the rifle was aimed. In the recent live-fire tests conducted in February, shown in the video above, researchers showed they could hit targets that were moving, even accelerating. The shots were fired from a standard rifle at sniper ranges using .50-caliber bullets. In the tests, an experienced shooter hit moving and evading targets repeatedly, DARPA said. And for the first time, a novice shooter hit a moving target. That, is a pretty darn good acronym. via Self-guiding bullet can now hit a moving target — Defense Systems. The only path to victory in this war in defense of free speech lies through courage. We cannot wimp out and blame the victims for drawing cartoons, writing novels, or making movies. via The left has Islam all wrong: Bill Maher, Pamela Geller and the reality progressives must face – Salon.com. Their answer, if I’m reading the suit correctly, is that the hardware does not but that software does. The suit details at length a confusing series of bureaucratic buck-passing from the ITAR people that makes it very hard for Wilson and Defense Distributed to know whether their planned activities will bring criminal punishment down on them. Wilson said in a phone interview this morning that he’s trying to get all Ghost Gunner customers to affirm that they are U.S. citizens, since he fears if he sells one to a non-citizen (which could constitute “export”) he just might run afoul of ITAR. via Cody Wilson Sues State Department Over Threats About Spreading Digital Gun-Making Files – Hit & Run : Reason.com. General Motors also says that your car qualifies as a “mobile computing device.” Tinkering with it, therefore, could be a copyright violation because although you do own your car, you do not own the computer code inside it. Jail-breaking your iPad is currently illegal for the same reason. By the way, jail-breaking your iPhone is still legal; it’s just one more example of a government regulation that is full of double standards. via 12 big car companies are trying to make working on your own car illegal – Watchdog.org. Which brings us to today’s warp field buzz. Posts on NASASpaceFlight.com, a website devoted to the engineering side of space news, say that NASA has a tool to measure variances in the path-time of light. When lasers were fired through the EmDrive’s resonance chamber, it measured significant variances and, more importantly, found that some of the beams appeared to travel faster than the speed of light. If that’s true, it would mean that the EmDrive is producing a warp field or bubble. Here’s a comment from a space forum following the tests. via NASA May Have Accidentally Created a Warp Field | Mysterious Universe. Are you now or have you ever been a ‘climate contrarian’? There’s also a palpable religious feel to the denunciations. That student-started petition calling for Lomborg to be kept off campus demands that this be done ‘In the name of science’. Once we had ‘In the name of the Lord’, now we have ‘In the name of science’. The terminology used to denounce those who question climate change, particularly ‘DENIER’, brings to mind dark, intolerant episodes from history when anyone who called into question the truth of the Bible or the authority of the Church was likewise hounded out of universities (think John Wycliffe, expelled from Oxford in 1382 for riling church elders). The most striking thing about the Lomborg scandal Down Under is the invention of a new term of abuse: ‘climate contrarian’. This is how Lomborg is being referred to by all the metaphorical pitchfork-wielders. Why? Because he isn’t a climate-change denier. He has said repeatedly that he thinks climate change is real and needs to be tackled, just not in the way mainstream greens think it should. So here, explicitly, we can see that someone is being demonised not for being ‘anti-science’ — the usual, unconvincing justification for shutting down criticism of the politics of climate change — but simply for holding the allegedly wrong political and moral views, for daring to put forward an alternative policy vision for environmental problems. As the UWA Student Guild said, ‘While Dr Lomborg doesn’t refute climate change itself’, he does have a ‘controversial track record [as a] climate contrarian’. And we can’t have controversy on a campus, can we? This scandal exposes the true intolerance of the eco-lobby, their real censorious urge — which is not merely to ringfence science from ridicule, which is bad enough, but to prevent the expression of contrarian ideas. For years, greens have presented themselves as merely the rational, reasoned defenders of science against gangs of charlatans, when in truth they were all about protecting an ideology: the ideology of no-growth, of anti-development, of anti-progress, of population control, of modern-day misanthropy, fortified with bits of science but really expressing an underlying, elitist, growing contempt for humanity and its achievements. Now, in their assaults on Lomborg, their nakedly political censorship, their moral policing, their desire to deflect any criticism of their miserabilist, illiberal moral outlook, has been brilliantly exposed: they want to shut this man down, not because he denies scientific facts, but because he thinks differently to them. It is undiluted intolerance, and at a university too. Proof that the Western academy in the 21st century is giving the old heresy-hunting Church a run for its money in the bigotry-and-dogma stakes. via Are you now or have you ever been a ‘climate contrarian’? | Australia | Environment | Free speech | spiked. But millennials are grown up now — and they’re angry. As children, they were told that they could be anything, do anything, and that they were special. As adults, they have formed a unique brand of Identity Politics wherein the groups with which one identifies is paramount. With such a strong narrative that focuses on which group one belongs to, there has been an increasing balkanization of identities. In an attempt to be open-minded toward other groups and to address social justice issues through a lens of intersectionality, clear and distinct lines have been drawn between people. One’s words and actions are inextricable from one’s identities. For example: this is not an article, but an article written by a straight, white, middle-class (etc.) male (and for this reason will be discounted by many on account of how my privilege blinds me — more on this later). via Social Justice Bullies: The Authoritarianism of Millennial Social Justice — Medium. Of course, presidential lawlessness is a special case. Because the president controls not only the nation’s law enforcement apparatus but also its military, it’s pretty hard to call him to account. But what about the rest of us? If presidents can violate the law, why can’t we? It would be a bad thing for the country if Americans started to ask that question. There are different reasons for choosing to obey or disobey the law. One reason for following the law is fear of consequences: If you break the law, you could be sent to jail, fined, or even killed. via Obeying the law starts at the top: Column. Converting light to electricity is one of the pillars of modern electronics, with the process essential for the operation of everything from solar cells and TV remote control receivers through to laser communications and astronomical telescopes. These devices rely on the swift and effective operation of this technology, especially in scientific equipment, to ensure the most efficient conversion rates possible. In this vein, researchers from the Institute of Photonic Sciences (Institut de Ciències Fotòniques/ICFO) in Barcelona have demonstrated a graphene-based photodetector they claim converts light into electricity in less than 50 quadrillionths of a second. Graphene has already been identified as a superior substance for the transformation of photons to electrical current, even in the infrared part of the spectrum. However, prior to the ICFO research, it was unclear exactly how fast graphene would react when subjected to ultra-rapid bursts of light energy. To test the speed of conversion, the ICFO team – in collaboration with scientists from MIT and the University of California, Riverside – utilized an arrangement consisting of graphene film layers set up as a p-n (positive-negative) junction semiconductor, a sub-50 femtosecond, titanium-sapphire, pulse-shaped laser to provide the ultrafast flashes of light, along with an ultra-sensitive pulse detector to capture the speed of conversion to electrical energy. via Graphene device makes ultrafast light to energy conversion possible. When Phil LeClerc, of Weymouth, Massachusetts found this unbelievable Governor Winthrop desk at an auction similar in nature to a yard sale, he was shocked and thrilled that it only cost him $40. What he found inside was a collection of U.S. savings bonds worth $127,000 in denominations of $500, $1,000 and $10,000. LeClerc immediately did the right thing and returned the desk to the family who had auctioned it off. It turns out the fortune belonged to a 94-year-old man, who was in need of an assisted living program but could not previously afford it. The man says he lost the bonds many years ago and has been searching for them ever since. via VIDEO: Never In His Wildest Dreams Did He Expect To Find THIS Inside The Desk He Got At A Yard Sale | American Overlook.